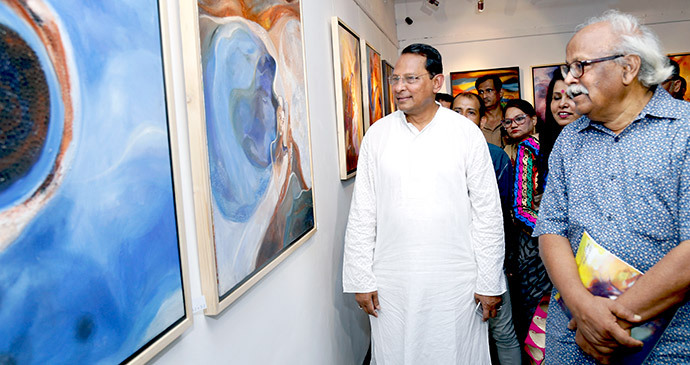 La Galerie is one of the most renowned art exhibition spaces in Bangladesh, and is open to all artists. La Galerie is booked all year round and usually hosts more than 20 exhibitions and many other events every year. As one of the oldest galleries in Dhaka, La Galerie continues to exhibit artworks that cater to the imagination of its visitors, and bring out at least a moment of contemplation amid this very busy Dhaka. If you want to exhibit at La Galerie please contact us as soon as possible with your profile. Download printable PDF form (to be submitted with additional prerequisites) for requesting to exhibit in La Galerie.